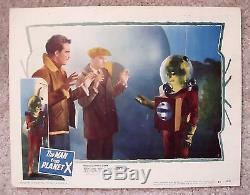 This is an ORIGINAL (Not Reproduction or Re-Release) 1951 Vintage Theatrical Movie Lobby Card #7 from THE MAN FROM PLANET X: The Edgar Ulmer UFO space alien science fiction (sci-fi) horror thriller. Starring Robert Clarke, Margaret Field, Raymond Bond, William Schallert, Roy Engel, and Pat Goldin (billed as "and the Strange Man from Planet X"). 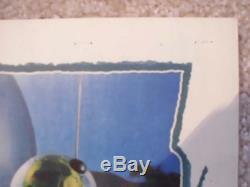 This card is in NEAR MINT condition with small pinholes in the border due to stapling and minor edge wear. Near Mint-This item is in really excellent condition! It has the most minor of imperfections, but has survived in really wonderful condition! Note that we do not use the term Mint as there are usually some kind of imperfections. You should look at our "super-sized" image of the actual item, which will confirm just how nice this item is! 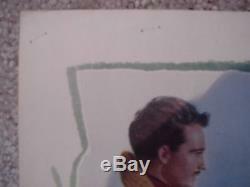 Excellent-This item has survived in pretty nice condition, but has some relatively minor imperfections. If they are within the image, they are not very distracting at all, or they may be in the blank borders, where they will not show when the item is displayed. Very Good-This item has some significant imperfections. If they are within the image, they are likely quite noticeable, and they may be in the blank borders, where they may be more significant. Good-This item has major significant imperfections. If they are within the image, they are likely quite noticeable and distracting, and they may be in the blank borders, where they may be even more significant. Fair-This item has REALLY major significant imperfections. 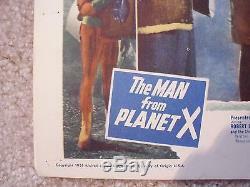 The item "MAN FROM PLANET X ORIGINAL 1951 LOBBY CARD #7 11X14 EDGAR ULMER NEAR MINT" is in sale since Sunday, January 01, 2017. 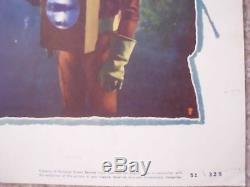 This item is in the category "Entertainment Memorabilia\Movie Memorabilia\Lobby Cards\Originals-United States\1950-59". 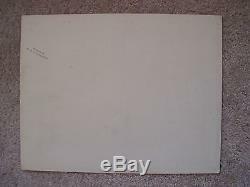 The seller is "esdadsstuff" and is located in Bellingham, Washington.